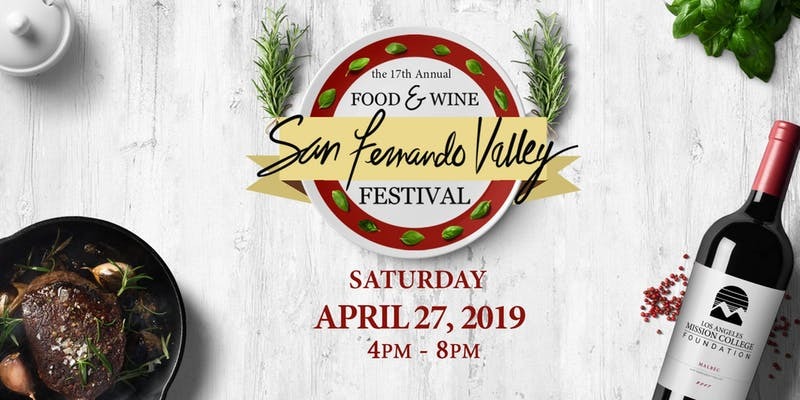 SYLMAR, CA – The Los Angeles Mission College (LAMC) Foundation will be hosting the 17th Annual San Fernando Valley Food & Wine Festival on Saturday, April 27, 2019. This signature event raises crucial funds for our scholarship programs which provides a local financial support system for students and has awarded more than $100,000 in scholarships, thanks to the success of events like this. It will be an exciting and fun-filled day to include exquisite cuisine prepared by our award-winning Culinary Arts Institute, wonderful wines, a silent auction, live entertainment and much more! This year’s Annual Food & Wine Festival is expected to draw hundreds of guests in the beautiful Los Angeles Mission College Culinary Arts Institute Building on the afternoon of April 27th from 4:00 PM to 8:00 PM. With a theme of “International Cuisine” attendees will enjoy cuisine from around the world, pared with wines to complement each dish. In addition, we will be hosting a silent auction, pastry pavilion, and live entertainment provided by local artists. Meet our amazing faculty and staff of master chefs, including Culinary Arts Department Chair, Chef Louis Eguaras. His past experience includes: Executive Chef of Presidential Culinary Services; Author of bestselling book “101 Things I Learned in Culinary School,” and former White House Chef at Camp David Presidential Retreat and The White House cooking for Presidents Bush Sr and Bill Clinton, dignitaries like Nelson Mandela, John Majors and Brian Mulroney and celebrities like Tom Hanks, Arnold Schwarzenegger, Bruce Willis, Demi Moore and more. General admission tickets are $65 and VIP tickets are $150. All tickets will include a beautiful souvenir stemmed wine glass to commemorate the event. The Los Angeles Mission College Foundation is the support arm of the college, made up of community members and civic and business leaders. The mission of Los Angeles Mission College Foundation is to raise funds and provide stewardship for funds already raised, through annual scholarship drives, special events, grant applications and business partnerships. Our goal is to provide a local financial support system to needy and deserving students entering and continuing their education at Mission College. 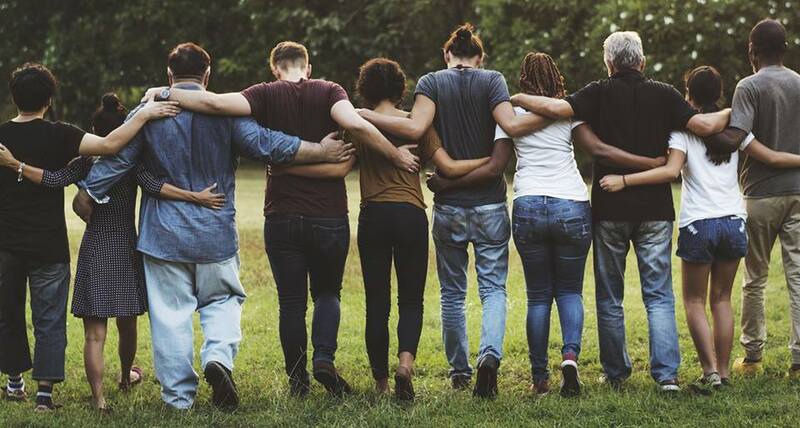 Our vision is to improve the quality of life in our community by providing support for individuals from diverse backgrounds to pursue quality accessible educational programs and services. Masters of Taste Announces 2019 Date And Introduces Chef Michael Hung as 2019 Host Chef! 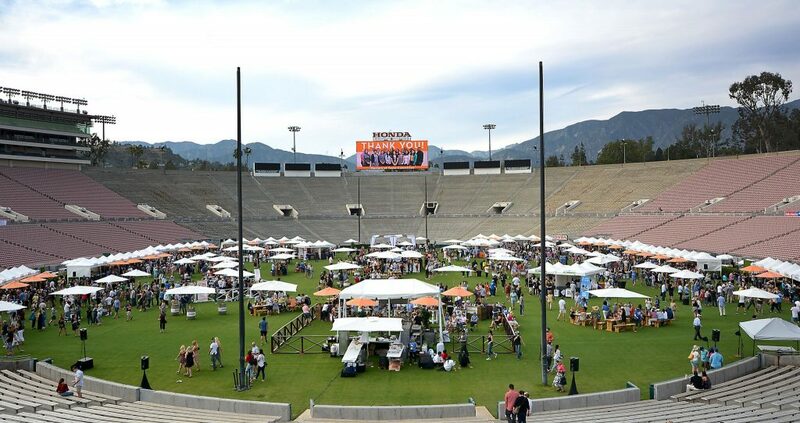 Los Angeles, CA- Come celebrate and be part of the fourth annual Masters of Taste 2019, L.A.’s premier outdoor, luxury food and beverage festival taking place on Sunday, April 7th, 2019 from 3:00 pm to 7:00 pm on the field of the Historic Pasadena Rose Bowl! Masters of Taste 2019 is also introducing Chef Michael Hung as the event’s first-time Host Chef. 2017 and 2018 Masters of Taste Culinary Master, Michael Hung’s illustrious career credentials include time spent with Traci Des Jardins’s James Beard Award-winning team at San Francisco’s Jardinière and overseeing the kitchen at Roland Passot’s Michelin-starred La Folie. Chef Hung then left San Francisco to open Faith & Flower in Downtown Los Angeles, where under his leadership the restaurant was honored “Best New Restaurant” by Esquire Magazine, Los Angeles Magazine, and Travel + Leisure. Michael’s success continued when he opened the highly-acclaimed Viviane in the Avalon Hotel Los Angeles and then he started his own company Ardour Hospitality in 2016, which focuses on full-service consulting, culinary and hospitality experiences in Greater Los Angeles. In addition to running his own company, Michael has also returned to Faith & Flower where he oversees the kitchen. Masters of Taste 2018 attracted nearly 2,800 guests and garnered media attention throughout Southern California and beyond. Masters of Taste 2019 is expected to bring over 3,000 food and beverage enthusiasts together for one afternoon to celebrate this exhilarating festival, which will include the finest fare from over 45 Master Chefs including returning Culinary Masters Chef Erwin Tjahyadi (Bone Kettle), Chef Kyle Johnson (Bourbon Steak), Chef Calogero Drago (Celestino Ristorante), 2019 Host Chef Michael Hung (Faith & Flower) and Chef Lee Hau Fu (Lunasia Dim Sum House) just to name a few. Also, participating in Masters of Taste 2019 will be L.A.’s top Sweet Masters, signature handcrafted cocktails and tastings from over 40 Beverage Masters including spirit brands and bars, a premier 50 yard-line cocktail bar featuring four of L.A.’s most distinguished drinking destinations and their Master Mixologists, select wineries, local craft breweries, live entertainment and much, much more. 100% of the proceeds from Masters of Taste 2019 will directly benefit Union Station Homeless Services, a 501(c)(3) nonprofit organization committed to helping homeless men, women and children rebuild their lives. Union Station is part of a premier group of human services agencies in L.A. County that are leading the way to end homelessness in our community. Union Station offers an array of services including street outreach, meals, shelter, housing, case management and career development. In the last three years Masters of Taste has raised over $1.5 Million in support of Union Station’s life-saving programs. Thank you for making that possible. Mark your calendars and save-the-date for Masters of Taste 2019! Ticket Information: Masters of Taste 2019 will take place on Sunday, April 7th, 2019 and is a 21+ event. A VIP Power Hour will be held from 3:00 pm to 4:00 pm and General Admission will be from 4:00 pm to 7:00 pm. For more information on Masters of Taste 2019, please visit www.MastersofTasteLA.com. Masters of Taste 2019 Tickets will go on sale Tuesday, January 1st, 2019. How Was the 4th Cocktails on the Roof? Cocktails on the Roof News: Thanks to everyone that bought a ticket, volunteered, signed up as a vendor and participated in the 4th Cocktails on the Roof event held September 7. We are rocking that roof! Photo credit: The Signal newspaper. Now, to announce the cocktail winners, share some of the raves and thank everyone that helped make our event a success. First Claim Jumper, Second Place Salt Creek Grille and Third Place went to Solita Tacos. Judy: Another fabulous event, thank you for your vision so long ago. Michelle: We had such a nice time tonight. Thank you Eve for putting together such a fun event. Looking forward to next time. Eric: Third year in a row for us, and two new attendees we convinced to attend. They said they would be there next year. Dawn: Cocktails on the Roof! So much fun seeing lots of friends and enjoying our VIP lounge – thank you Image-2000 and Joe Blatchford! Tamar: Another fantastic event!!! Thanks Eve and Amy! Jennifer: Great to see you all! Can’t wait til 2019! Dana: VIP… oh yeah, the best way to do #cocktailsontheroof! See y’all next year! Heidi: Our first time at Cocktails on the Roof!! What a fun event!! Met a lot of people I haven’t seen in a long time! Dancing, drinking a lot of cocktails…. thank God for Uber!!! Jeannie: Fun being with you all! Cheryl: Congratulations on an amazing event to support our community! Sue: Excellent! Thanks for all you do for Hart District! Amanda: Great job last night. The vendors were fabulous! Such a variety. It was also good to see you and share a moment. Richard: What a great night. Josh: Thanks for including us!! We had a blast. Michael: Great event, as always Eve. You and your team should be very proud! Alex: Love u eve!! Another amazing event!! Steve: First off, last night was fantastic and you are to be congratulated, yet again. Truly Eve, that is an amazing civic event and I hope you get a special sense of accomplishment for what you created because it is really something worthwhile, fun and tasty too. Patti: Great event!!! Good job everyone!! Maureen: What a great night seeing so many friends for a great cause! Judy: fabulous event thank you to all the volunteers who took time to help us last night! Lots of fun, drink and fun!!! Michael: Awesome event. Another great job. So nice to see old friends and sample all the delicious food and drink. Steve: Great event Amy, Eve, and all! Stacey: So fun! What a great night with good friends. Stephanie: It was really fun with great friends and an old boyfriend! Samantha Wade, Donna Carrion, Mary Bird, Kori Hawk, Kat Soto, Ashley Caldwell and Brittany Sanders. The Magazine of Santa Clarita, Elite Magazine, Westfield Valencia, Littler, BrightView, California Credit Union, Oasis Associates, Andy Gump, SOS Entertainment, The Signal, SCVTV, Burrtec, Brightview Tree Company, Team House Real Estate, Eve Bushman Consulting, Image 2000, 24/7 Events and SCV Tax. Salt Creek Grille, Wolf Creek Restaurant and Brewery, Dulce Vida Tequila, Mammoth Coffee Roasting (Espresso Martini), JFC International (sake-based cocktails), Alchemy Valencia, Marston’s Valencia, An Indian Affaire, LA Scotch Club (the only event the club participates in), Lazy Dog Restaurant and Bar, Pomp & Whimsy Gin Liqueur, Vines Restaurant and Bar, Willow Creek Distillery (formerly the Distillery at Opolo), The Newhall Press Room, (Moscow) Mule 2.0, Nealie’s Skillet, Lucille’s Smokehouse BBQ, Honu Coffee, The Local Pub and Grill, Smokehouse on Main, Impex Beverages (spirit brands), Claim Jumper Restaurant and Saloon, Figenza Fig Vodka, Sweet Beams Ice Cream Truck, Sweet T’s Treats and Nothing Bundt Cakes. Amy Daniels, Noah Daniels, Josh Daniels, Christi Kessler, Mia Slotsve, Koren Young, Recyl Chapman, Mallany Carver, Whitney Wollin, Dennis Ward, Kathleen McGraw, Kathleen and Allen Marquart, Burt Ceroni, Diane Curtis, John Rogers, Holly Bellamy, Robin Wimsatt, Ellen Hawthorne, Carmel Farnsworth, Eileen Gunning, Judy Penman, Cheryl Gray, Carolyn Lodes, Jen Phelps, Nicole Stinson, Steve Portaro, Danise Davis, Mary Bradway, Taj Ambar, Damien White, Brittany Murrietta, Cindy Kirk, Larry and Christy Grable, Maggie-Mae Laufman, Rochelle and Terry Gallimore, Michael Farnsworth, Jennifer Primero, Talia Stern, Raymond and Cathie Baker, Joelyn and Robert Caprine, Steve Dole, Nicole Feast, Scott Fushi and Rich Daniels. The WiSH Education Foundation supports the 23,000 students in grades 7-12 of the William S. Hart Union High School District. We fund programs and initiatives not paid for by tax dollars alone and our goal is to benefit as many students with our dollars as possible, directly in the classroom, where it’s needed most. WiSH is important to everyone who lives in the Santa Clarita Valley, whether you have a student in our schools or not – great schools help keep our home values strong and educating our young people is vital to our community! Limerick Lane + Salt Creek Grille = a Fun Preview! The Main Event is 8/16! Was pretty amazed, yes by the superb fruit and balance in the Rhônes and Zinfandels from Limerick Lane, and by the amazing auction items that had been donated so far to this particular Boy and Girls Club of SCV fundraiser, but equal to all that (for me) was a food pairing menu by Salt Creek Grille catering and Chef Tamra Levine. 94 points Wine Enthusiast, reportedly the highest score the magazine has ever awarded to a Rose. With aromas of grapefruit, mango, peach, shale, banana and strawberry, followed by the same fruit flavors on the mouth. Light and smooth, as well as a medium acidity, and long finish. 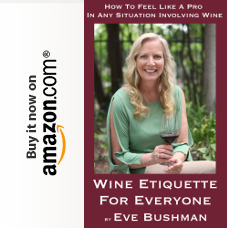 Terry Kanowsky commented on the “delightful bouquet” that included black cherry, blackberry, crushed leaves, earth and sage. On the mouth we got the same black fruit, medium tannin, smoke, cigar and a long finish – a “huge back palate” according to Chef Levine, I had to agree. Flowery, spicy and bold fruit on the nose; then a lovely amount of black fruit, spice and drying qualities in the mouth. With red, blue and black fruit aromas, as well as cracked black pepper Mike Bjorkman called a “bit of pepper” on the nose; then in the mouth it was big, spicy and bold with an extra long finish. Interesting hard candy on the nose, then plums, milk chocolate and forest floor. In the mouth it was dark, spicy and dry. Love a wine that has the aromas to pull you in. Aromas of blueberry jam, earth, dusty and zero heat on the nose (all of these Zins showed no alcohol burn) while in the mouth we got a nice sweet, peppery, and dark fruit – all in perfect balance. Two one-day Park Hopper Passes to Disneyland/California Adventure. Two tickets to a Los Angeles Kings game in November 2018. Framed, autographed photo of Dustin Brown and Anze Kopitar with Certificates of Authenticity. Dinner for two with Limerick Lane wine at Salt Creek Grille before the Kings game; limo to Kings game. Chef Michelle Bustillos will provide a Cooking Lesson in your home, with Limerick Lane Wine Pairing, for six people. LOS ANGELES, CA —Returning for its highly-anticipated ninth year, L.A. 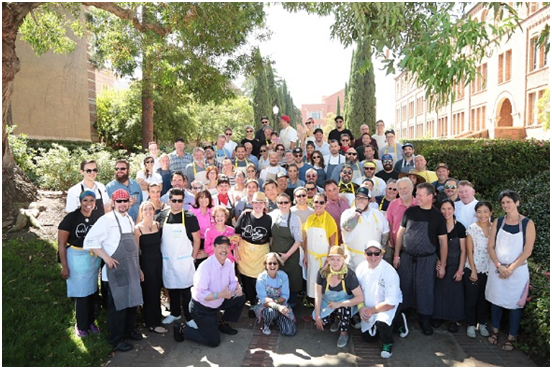 Loves Alex’s Lemonade, hosted by James Beard Foundation award-winners Chef Suzanne Goin and partner Caroline Styne (The Lucques Group) along with Chef David Lentz (The Hungry Cat), is set for Saturday, September 8, 2018, from 12:30 – 4:30 pm on UCLA’s Royce Quad. Goin, Styne and Lentz have again enlisted the support and generosity of their culinary-superstar friends around the country who will donate their time and services to raise funds and awareness for Alex’s Lemonade Stand Foundation (ALSF) and its mission to find better treatments and cures for all kids with cancer. The Presenting Sponsors for the cookout are Northwestern Mutual and Volvo Cars of North America. Featuring fabulous food, wine and cocktails prepared by the nation’s best chefs, winemakers and mixologists, L.A. Loves Alex’s Lemonade is an afternoon of fantastic fare, cocktails for a cause, children’s activities, extravagant silent and exhilarating live auctions, and much more. The 2018 event is guaranteed to surpass the aspirations of previous years with returning chefs Chris Bianco, April Bloomfield, Evan Funke, Giada De Laurentiis, Adam Perry Lang, Donald Link, Nancy Oakes, Nancy Silverton, Steve Samson, Jon Shook, Vinny Dotolo, Rocco Whalen and Marc Vetri coming together to cook for childhood cancer cures (for a current list, see page 3). More chefs will be announced in the coming months, as well as leading vintners and mixologists from across the country. Pricing for General Admission tickets is $195, and L.A. Loves Alex’s Lemonade offers a $1,200 premier ticket level that includes early access to the event and VIP seating as well as an exclusive invite to the private and intimate Welcome Dinner the evening before, on Friday, September 7. The culinary cookout is family-friendly; children under the age of 12 are free with accompanying adult and do not need to register for the event. For complete listings of participants and to purchase tickets for this year’s event visit the ALSF website. All proceeds will benefit the Foundation. L.A. supporters enthusiastically responded with huge turnouts in the first eight years, sampling signature dishes of world renowned chefs and reaching over $5.8 million in sponsorship, ticket and auction sales to date. In addition to the generous backing of the community, prominent personalities from the entertainment industry – long time attendees Jimmy Kimmel, Laura Dern, Joe Mantegna, Timothy Olyphant, Kirsten Vangsness and others – have become champions of the cause. More than 2,000 people, including more than 100 chefs, mixologists and vintners, attended the 2017 event, which raised over $1.3 million. Those in attendance heard an inspiring speech by Jay & Liz Scott, Alex’s parents, and co-executive directors of Alex’s Lemonade Stand Foundation, and Patrick Scott, Alex’s brother, who read a moving letter he wrote to his sister. For information on how to become a sponsor, contact Sarah Wright at Alex’s Lemonade Stand Foundation, (866) 333-1213 or S.Wright@AlexsLemonade.org. Alex’s Lemonade Stand Foundation (ALSF) emerged from the front yard lemonade stand of cancer patient Alexandra “Alex” Scott (1996-2004). In 2000, 4-year-old Alex announced that she wanted to hold a lemonade stand to raise money to help find a cure for all children with cancer. Since Alex held that first stand, the Foundation bearing her name has evolved into a national fundraising movement, complete with thousands of supporters across the country carrying on her legacy of hope. To date, Alex’s Lemonade Stand Foundation, a registered 501(c)3 charity, has raised more than $150 million toward fulfilling Alex’s dream of finding a cure, funding over 800 pediatric cancer research projects nationally. In addition, ALSF provides support to families affected by childhood cancer through programs such as Travel For Care and SuperSibs. For more information on Alex’s Lemonade Stand Foundation, visit AlexsLemonade.org. Bruce Kalman (L.A.) – Union, Knead & Co.
Wine in the Pines 2018: Registration Open for Wineries and Ticket Link Open for Sales! 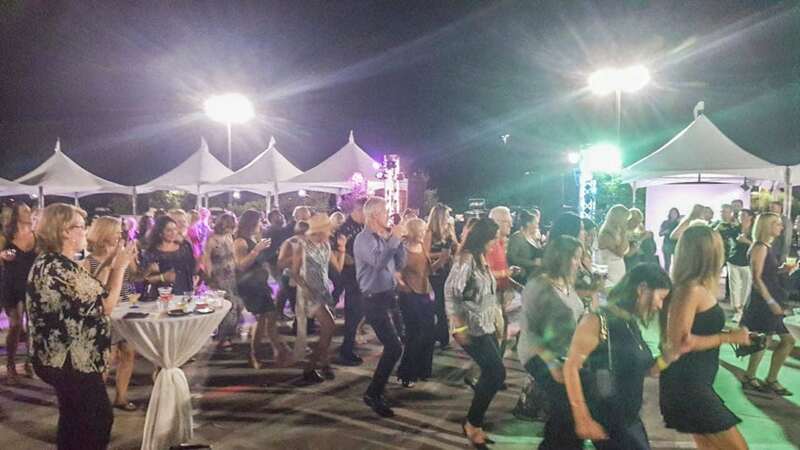 We can’t believe it’s already 2018 and we’re gearing up for this year’s WINE IN THE PINES! Please double check those new calendars to make sure you reserved the date for our 16th annual Wine in the Pines Festival. SAVE THE DATE for SATURDAY, JUNE 9th, 2018 from 12:00 pm to 4:00 pm (our VIP doors will open at noon and general admission ticket holders will join in at 1:00pm). Please make note that we will again host our “Meet and Greet” on Friday, June 8, at 6pm, in the Wine Room Gallery. If you haven’t been able to join us for this, you’re missing out! It’s a great night to meet other Winemakers and taste some of their best creations. Please join us and bring your favorite bottle to share! If you are planning to stay the weekend in Pine Mountain Club, please be sure to book your room early. Places we recommend staying at are; the Pine Mountain Inn (661-242-1982) or the Old Bear Bed and Breakfast (661-242-1622). Also, there are also plenty of beautiful cabins available through VRBO or Airbnb. We do have some friends with cabins too, so let us know if you would like us to check on that. Don’t forget that Wine in the Pines festival is a fundraising event hosted by the volunteers of the Village of Pine Mountain Club, Commercial Property Owners and we work hard all year to keep this main event strong and prosperous. Our mission is not only to help to improve our local community, but also to help local non-profits flourish in their missions. Last year we were able to make another $4000 contribution to the local Relay for Life benefiting the American Cancer Society! Thank you so much for your continued support, it truly makes a difference! LOS ANGELES – LearnAboutWine, a wine education and event website dedicated to the education, service, and enjoyment of wine, is pleased to announce a stellar lineup of wineries appearing at the 9th annual “STARS of Cabernet” event on November 15 at One of the top hotels in the Los Angeles area, The Peninsula Beverly Hills. “STARS of Cabernet” is the premier tasting of the year that celebrates Cabernet Sauvignon. Over 36 of the best Cabernet producing wineries in California and the world will showcase their Cabernet as well as other wines. Tasting over 100 wines including cabernet and variety of others. Wineries come from Napa, Sonoma, Paso Robles, Santa Barbara, France, Argentina and Chile. 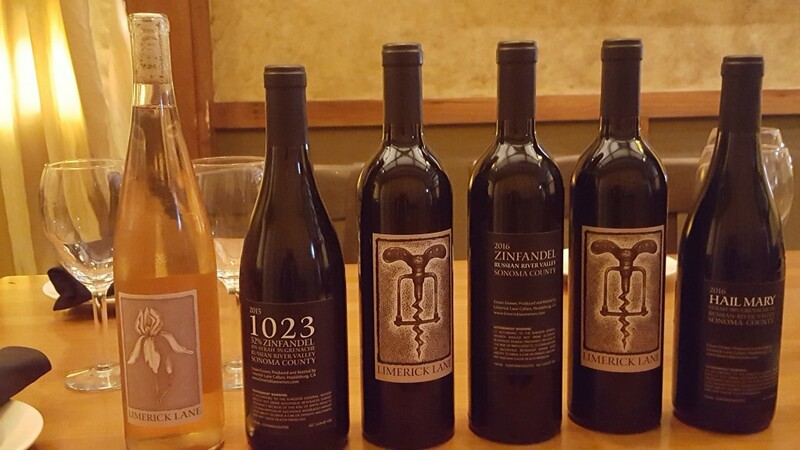 The only event of its kind in the Los Angeles area, which showcases some of the top bottles of Cabernet. 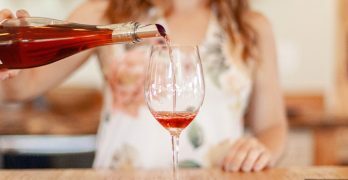 There will be guest winemakers that will host an intimate VIP reception before the Grand Tasting and share their experiences and expertise with the select crowd. 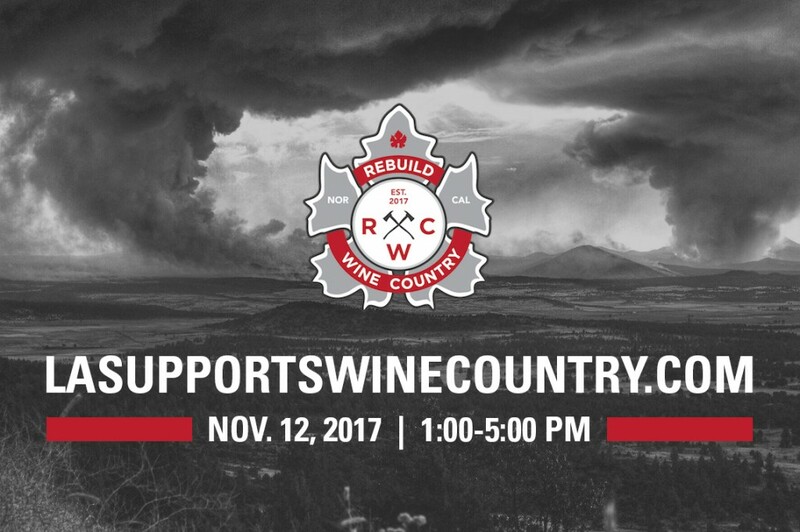 Featuring Wines from: Hess Collection, Hertelendy Vineyards, Metaphora Wines, St. Supéry Estate Vineyards & Winery, Guarachi Family Wines, Garden Creek Ranch Vineyards Winery, Cornerstone Cellars & Clos Du Val. A silent auction, containing lots of collectable and large format wines, benefits TJ Martell Foundation. The T.J. Martell Foundation is the music industry’s largest foundation that funds innovative medical research focused on finding cures for leukemia, cancer and AIDS. The Foundation sources and supports early-stage research projects aimed at developing more effective clinical treatments for patients which otherwise might not be funded. Learn more at tjmartell.org . The only AAA Five Diamond and Forbes Five Star-rated hotel in Southern California every year since 1993, The Peninsula Beverly Hills offers 194 guest rooms, including 38 suites and 16 private villas, nestled among lush tropical gardens in the heart of Beverly Hills. The Peninsula is located at the intersection of Wilshire and South Santa Monica Boulevards, within easy walking distance of Century City and Beverly Hills’ legendary Rodeo Drive. Ian Blackburn, founder of LearnAboutWine, drinks wine for a living. 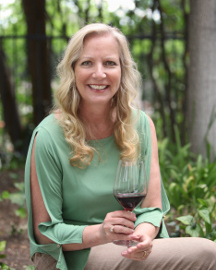 Since it was established in 1995, he has built LearnAboutWine into the leading source for wine education and events in Southern California and as it turns 20 years old in 2015. To celebrate its 20th Anniversary, LearnAboutWine will get a big facelift and a new brand called wineLA (.com) will take over events and classes in Los Angeles. Ian Blackburn say’s “LearnAboutWine has a higher purpose that we intend to grow nationwide in 2015… an exciting time for us indeed.” Ian continues to innovate and focus on demystifying wine for everyone from the casual drinker to the potential collector and was voted as “One of the Top 5 Places to Taste Wine in Los Angeles” by LAist.com (8/2013). Ian’s passion for wine and entertaining makes him one of the top spokespersons in the United States and currently Ian is studying for his Masters of Wine. Ian’s entertaining ways can heard on YouTube, or on many of Los Angeles radio airwaves; ABC’s “The Bachelor” and on Wealth TV. Santa Clarita, CA: Local nonprofits SCV Healing Fund and feedSCV have teamed up to unite local businesses to help local residents affected by the Las Vegas Shooting. On November 7th, 10 local restaurants and businesses will donate a portion of their proceeds to this effort. The donations will be used to help cover the costs of medical and psychiatric needs of local residents who were victims of this horrible tragedy. November 7th is a day to set aside our differences and come together as a community, to show the world that we will not allow a horrendous act to break our compassion towards our fellow neighbors. It is also a reminder to the victims, that they are always in our thoughts and that we are “stronger together”. Businesses donating a flat sum: Schoonerville Bar and Grill – 26254 Bouquet Canyon Rd, Santa Clarita, CA 91350 and Dallas Pest Control – 661-287-3254. Studio 11\Tonya Hair Design – Call on November 7th and make an appointment for any day after the 7th, and a portion of your sale will go to the Healing Fund. 661-433-7146. You can also make a direct donation to feedSCV on the website. The previous evening, Stephanie and Michael Honig hosted 350 guests at the winery, raising $215,000 for Type 1 diabetes. Their ten-year old Sophia, the oldest of their four children, was diagnosed with Type 1 at the age of 5, dramatically altering their lives and their family dynamic. The party at Honig was one stop on an epic, 10-week adventure for the Team Bike Beyond cycling team. On the afternoon of the event, the 20 riders, all with Type 1 diabetes, were met at the county line and escorted to the winery by the Napa County Sheriff and Congressman Mike Thompson, who also rode his bike to celebrate the occasion. “The Honigs have been tireless advocates for their daughter Sophia and the millions of other children and families living with Type 1 diabetes. Their efforts are more important than ever as federal funding for medical research comes under attack,” said Representative Thompson. On the evening of Wednesday, August 9th, after a special singing performance by Ambrosia songwriter David Pack, and a surprise flash mob choreographed by Honig family member Regina Weinstein and in which Stephanie Honig and fifteen of her close friends participated, the dancing continued into the night with music from Groovetronix Productions. Partygoers feasted on culinary creations provided by Brasswood Napa Valley, Brix Restaurant & Gardens, Charlie Palmer, The Clif Family’s Bruschetteria, Crisp Kitchen and Juice, Elaine Bell Catering, Harvest Table by Charlie Palmer, Heritage Eats, Kara Cupcakes, Model Bakery, Mustards Grill and Cindy’s Backstreet Kitchen, Oakville Grocery, Salute Santé! Grapeseed Oil, and Prabh Indian Kitchen. Wine and beverages for the event were provided by Honig Vineyard and Winery, Beran Wines, C. Beck Winery, The Chafen Family Dutch Henry Winery, Charbay Distillery, The Frank Family, Luna Vineyards, Mad Fritz Brewing Co., St. Supéry, Schramsberg Vineyards, Tobias Wines, and Vineyard 29. In true Napa Valley style, the community rallied to support the Honig’s and their cause. Sponsors of the event included Darioush, Breakthru Beverage Group, Chuck Wagner, David Drucker/EmpireMerchants, Nadalié USA, St. Helena Hospital, The Rudd Foundation, Trinchero Family Estates, Inc., and The Winebow Group, as well as the host committee which included American AgCredit, Andrea Ivarsson + Bryan Kolozsi, Jamie Kurtzig + Family, Jelly Belly Candy Company, and Nomacorc|Vinventions. Winery, Karen Rose, Lagunitas Brewing Company, Michelle Baggett, Napa Valley Aloft Air Balloon Rides, NBC Universal, The Restaurant at Meadowood, Rockin’ Love Producions/Dusty Kramer, Round Pond Estate, Staglin Family Vineyard, St. Supéry Estate Vineyards and Winery, and Volker Eisele Family Estate.A special thanks goes to Bright Party Rentals for donating the evening’s party equipment, furnishing, and supplies.